Back in September, a group of whaling captains made the long trip from Alaska to Florianópolis, Brazil. They went to do something they’ve done dozens of times since the late 1970s: ask an international commission to let them keep whaling. But this time they had a new request, and it was a big one. They wanted to change the rules of the commission so they wouldn’t have to keep asking for that permission every few years. And they succeeded. For context: Back in 1977, whaling communities in northern Alaska got some devastating news. The International Whaling Commission was concerned that the bowhead whale population was too low to support a subsistence hunt, and they put a moratorium on hunting bowheads. 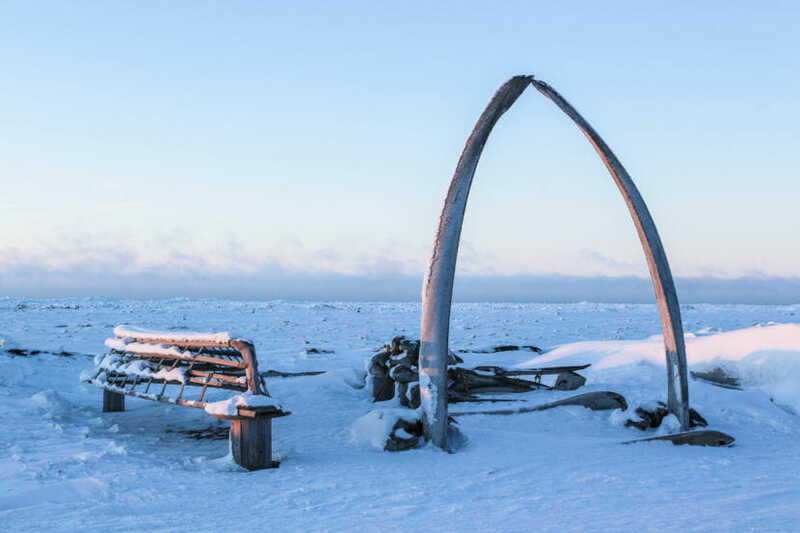 “At the beginning of the battle in ‘77, through those early years, it was a real struggle to get the world to understand what our world was like up here,” said Marie Adams Carroll, who was the executive director of the Alaska Eskimo Whaling Commission in its early years. The group formed in response to the IWC moratorium to advocate for the right of Iñupiat and Yup’ik hunters to whale. The IWC moratorium was only in place for a few months. After that, the whalers managed to get a small quota. But it was only half of what they said they needed. Through a lot of hard work in the years that followed, the Alaska Eskimo Whaling Commission became a co-manager of the hunt. Whalers brought in scientists who used traditional knowledge to improve the technique for counting whales. The population estimates increased, and the quota grew. But every few years, whalers had to show up to a meeting of IWC member countries and get 75 percent of them to say, yes, you can keep whaling. If they didn’t succeed, their quota would expire. “Seems like we had to go back and beg,” said Eugene Brower, former president of the Barrow Whaling Captains Association. Brower said he attended more IWC meetings than he cares to remember, and that feeling of having to beg — that’s not a good feeling. But additionally, there was always concern about the outcome of the vote. That happened in 2002. Eventually another vote was held at a special meeting, and the whalers got their quota. But for several months before that, whaling communities in Alaska were in limbo, thinking they might not be able to hunt the bowhead whale without breaking the law. The idea is that as long as certain conditions are met, including that the science says the bowhead whale population is doing well, every six years the quota will automatically renew. The limited automatic renewal won’t just apply to the bowhead quota, but to all aboriginal subsistence whale hunts conducted by IWC member countries. The proposal also included an increase in the number of unused “strikes” that whalers could carry over from previous years. (“Strikes” are counted whenever a whale is hit, even if it’s subsequently lost.) With the new proposed carryover, the annual quota going forward would be 93 strikes per year for Alaska hunters. AEWC says that Alaska whalers usually take an average of 40 whales a year. “To me, that was a miracle,” said Crawford Patkotak, vice chair of the Alaska Eskimo Whaling Commission and one of the whaling captains who traveled to Brazil as part of the U.S. delegation. He described the rule change as both a surprise and a victory for Alaska whalers. “It changes the way you think, the way you hunt, and it is a real pressure relief as far as not having to go back and questioning whether (the quota’s) going to be approved or not,” he said. Patkotak said when they got back to Utqiaġvik, the atmosphere was pure excitement. For people like Marie Adams Carroll and Eugene Brower, it felt like after years of struggle, a weight had been lifted from their shoulders. The automatic quota renewal could be revoked. But just as it took a large percentage of the IWC to make this new rule, it would take that same percentage to change it again. People familiar with the workings of the IWC say that’s unlikely.